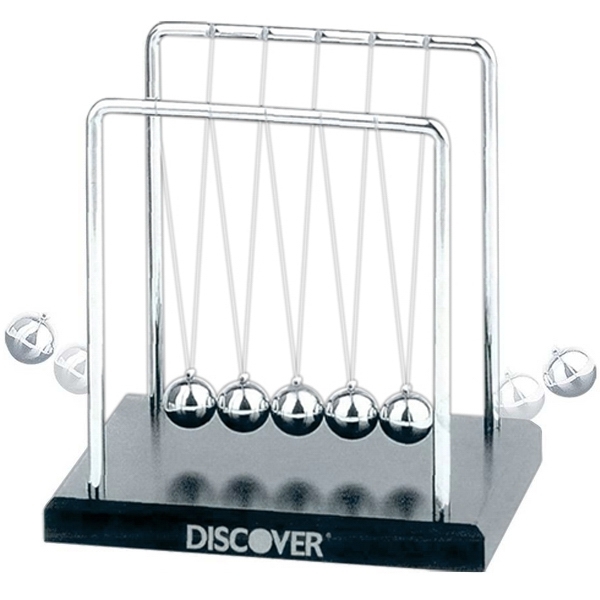 Newton's Cradle Executive Reactionary desktop gift. Offer this physics phenomenon as recognition for a job well done or to show your love of science. This classic work companion is constructed with a wooden base, giving it a sophisticated look. Pull one ball and let it fall back against the others. The energy will transfer to make the ball on the opposite end swing. Makes a great gift for friends, family, and co-workers of all ages. It may also be given as a token of appreciation to valued clients and potential customers. May be customized with a company name or purchased without imprint. 5-1/2" x 4-3/4" x 5-1/2"
Presentation Box / 32 lbs / 24 pcs. 8 Business Days *Production time begins after artwork approval and does not include shipping time.